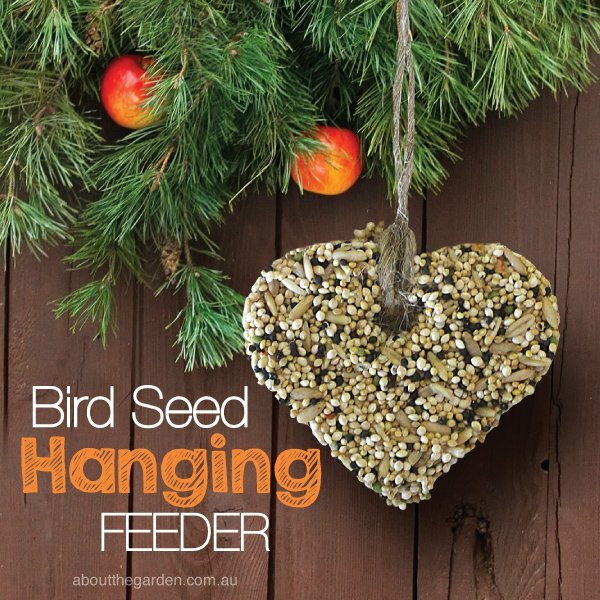 Want to attract more birds to your garden? Here is an easy and quick recipe to whip up in the kitchen and hang in your favourite tree. Make a cup of coffee and watch your feathered friends come to visit. Bring water to boil in a small saucepan, add gelatine packets to water and mix constantly until the gelatine is dissolved. 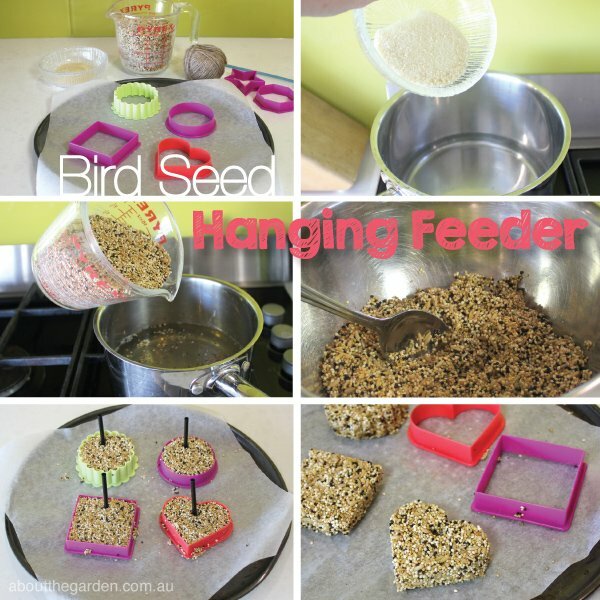 Add enough bird seed slowly to the gelatine mix until the seed is fully coated and the mix has a crumbly consistency. Stir until well combined. Leave to cool slightly. Line baking tray with baking paper and spray cutters and paper with cooking oil. Carefully spoon seed mixture into the moulds and pack down firmly. With a straw create a hole for the twine to be threaded through later. Refrigerate for a few hours or until moulds are firm. Gently remove the cutters and thread a length of twine through the hole to hang in your favourite tree or patio.